What makes this archive special is that it contains a full set of periodicals, from Watts’s Literary Guide through to New Humanist, as well as journals such as the Agnostic Annual and Question. This is the first time these periodicals have been collectively organised into a digital database and this illustrates how not-in-print publications can be revived to see new usage. Alongside the latest issue of New Humanist, subscribers will also be able to travel back to trace the development of the atheist, humanist and rationalist movements since the RA was founded in 1885. Before this intervention, those older issues may have been gathering dust on a shelf, now they will play an active role in the studies of academics around the world. Building digital archives to preserve valuable voices and historical content is an integral element of maintaining a connection to our past, which is just as important as our future. As information providers, magazines are unique in the sense that they are often focused on a particular topic, providing readers with detailed, high-quality and reliable commentary. Not only that but they are exhibitions of the design methods and stylistic choices used by different generations. Exact Editions takes great pride in preserving every page of every issue, including advertisements, letters from readers and even expired special offers! The New Humanist archive is a perfect example of this as you can watch the magazine develop over several generations. From the early days of black and white text, to the tentative uses of coloured covers in the 30s and 40s, followed by the use of photographs to attract attention from the 60s to the 90s, and then from 2000 onwards we can observe the prominence of graphic design and illustration. It is through digital preservation that we are able to track these developments so readily. We are sometimes asked, “How can you guarantee that these magazines will survive the technological development of the next 10 or 50 years?” Realistically, it is difficult to predict how technology is going to shift even in the next 5 years, but we are acutely aware of what is at stake. Take, for example, VR or AR (Virtual Reality/Augmented Reality). These technologies look as though they may be real and widespread by 2024, it is still too early to say how they will work with our cultural heritage, but we believe that the emphasis will be on preserving the exact look and feel of the magazines. Magazines are defined by their pages and content, that has not, and will not, change. We stick to our guns when we say that magazines are in a strong position for survival. Read our article on the Future of Magazines for more insight into this claim. To finish, a thought experiment — imagine Augmented Reality tools interacting with magazines in 2024. 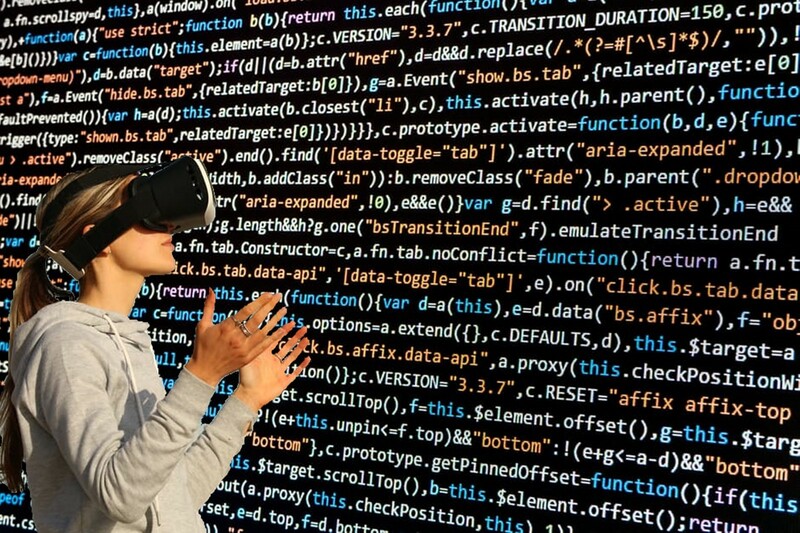 Do you think those virtual, digital objects for the AR headsets, we will then be wearing, will be manipulating something that feels like an ebook, or a stream of XML? Or will we be virtually playing with something that looks like a print magazine? Of course, if magazines become streams of XML from the user point of experience, then that is what we should be preserving. But for now, we should aim to preserve the content in the form in which we experience it and use digital formats that look as though they might last a long time. PDFs, JPEGs and ASCII all have that aura of reasonable longevity and our work with companies such as Portico ensures the content is safeguarded for future generations. Through the years, the Rationalist Association has published cutting-edge articles on an array of topics such as religion, poetry and history. To celebrate the World Digital Preservation Day, we have opened up some of the best articles in the archive for readers to enjoy. George Bernard Shaw, “What is my Religious Faith?” — Rationalist Annual, 1945. Bertrand Russell, “Are the World’s Troubles due to Decay of Faith?” — Rationalist Annual, 1954. Philip Larkin, “This be the Verse.” — The Humanist, August 1971. Richard Dawkins, “Lions 10, Christians nil.” — New Humanist, June 1992. Philip Pullman, “The Cuckoo’s Nest.” — New Humanist, Winter 2014. New Humanist is a quarterly magazine published by the Rationalist Association, a historic UK charity that promotes science, reason, humanism, and free thought. With every edition full of serious and intelligent essays, New Humanist is intended for anyone wanting to understand the ideas, conflicts and systems shaping our world. Exact Editions is a digital publishing company based in London. They are a team of producers, developers and designers who turn books and periodicals with archives into dynamic, user-friendly digital editions. Exact Editions specialises in digitising content and selling subscriptions across web, iOS and Android platforms, for individuals and institutions.